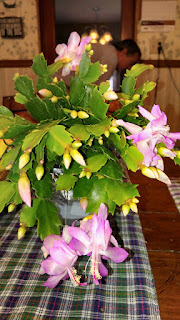 When I was shopping at Aldi, I saw that they had some Christmas Cactus that were in bloom for sale. My great grandmother and my grandmother each always had these plants and I just think they are so pretty. This one is just loaded with blooms! I have it sitting on my kitchen table, where the cat and dog can't get at it (hopefully!). I think that Ev (in the background) is bending down, telling Addy to leave Mom's flower alone! I don't normally have centerpieces, but this just looked so nice together I had to snap a picture. 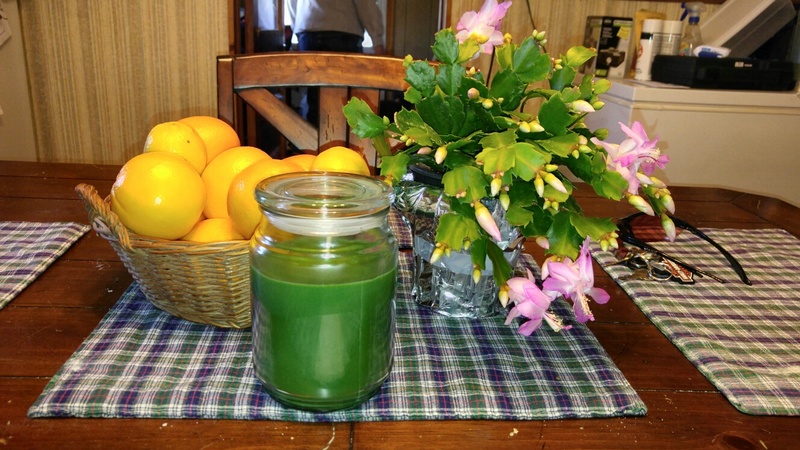 A bowl of oranges and lemons, a green candle, and the cactus. Pretty! Thinking of going back to Aldi and picking up a couple more for my mom and the girls.